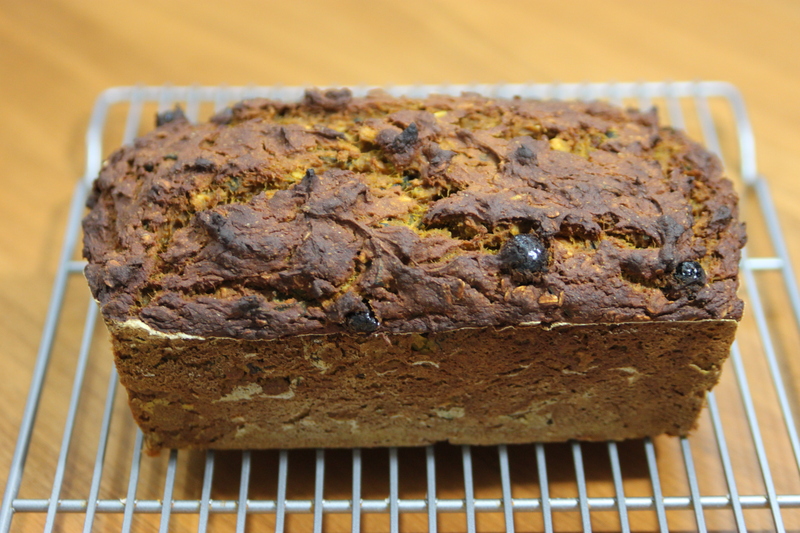 I’ve been in a quick bread frenzy–baking some sort of banana bread like loaf every week for the last month. It’s simply one of the most versatile foods to have around. I love having it for breakfast in the morning with a cup of coffee. I rarely eat breakfast so this shows how delicious and convenient these breads are. 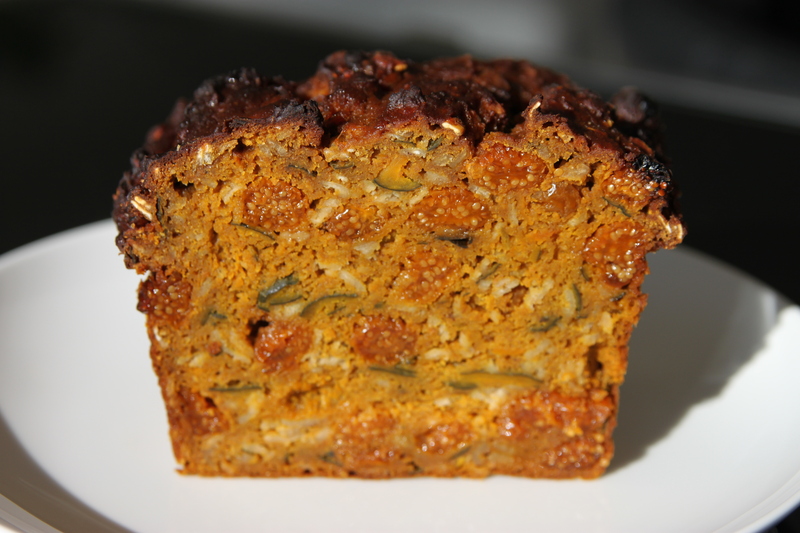 I use whole wheat and oats and rely on the squash to keep the bread real moist without adding fat. Keep the skin in the batter for added nutrition and texture–you can totally eat it by itself. I used Dried Cape Gooseberries aka Peruvian Ground Cherries to add some tartness–dried currants or cranberries will do the same. Enjoy this, you have to find a way to use all this squash right? Just a little bit of apple cider vinegar, olive oil, cinnamon and sea salt is all you need to unleash the killer flavor of Kabocha squash. Let the squash rest and completely cool after roasting–it will soak back up some of that liquid it releases while roasting. No need to puree by machine-tear it with your hands then smash with a fork. If cooked right, the skin should break apart no issue. This is a rustic bread! Let rest briefly before baking. 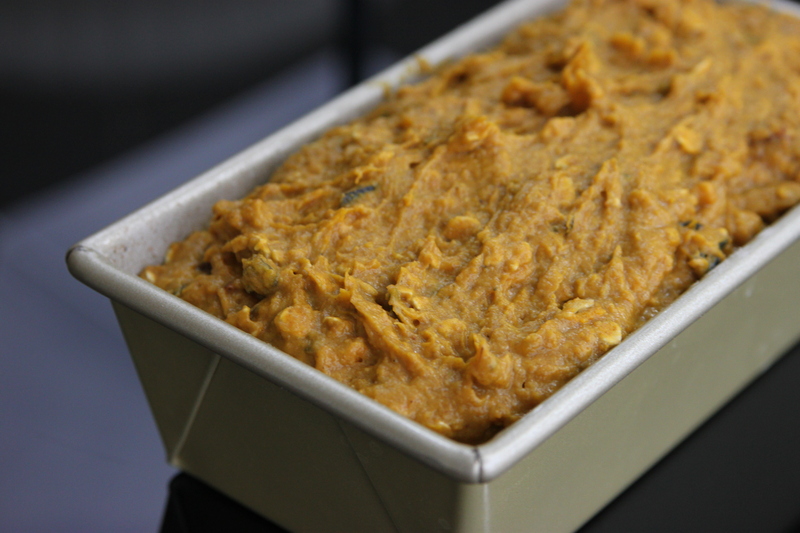 This is a thicker batter with the heavy amount of squash so make sure it settles. 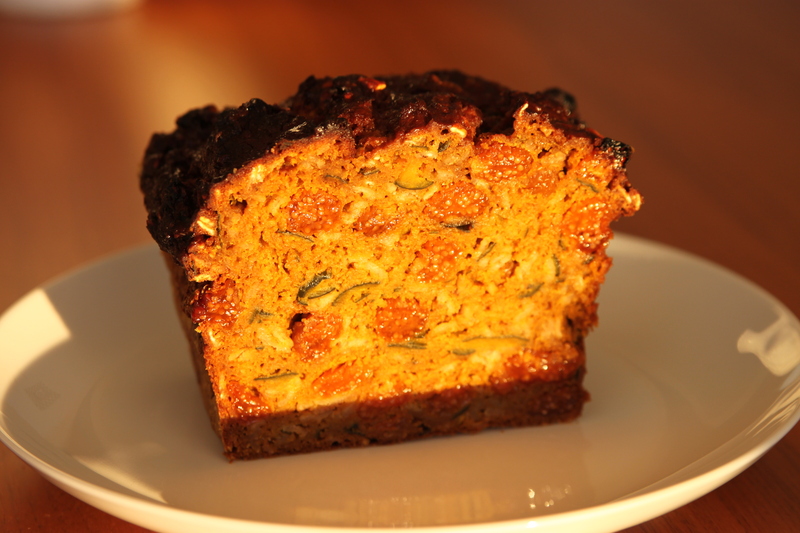 Let cool in baking pan for ten minutes, then promptly remove and let rest for 1 hour. Morning sun, morning food. The dried berries are simple-no need to hydrate prior to baking with the amount of moisture already in the batter. Slice and serve. You want a nice crust on the outside, but the interior will remain moist. Wrap in foil twice, and the bread will be of the utmost quality for 4 or 5 days. 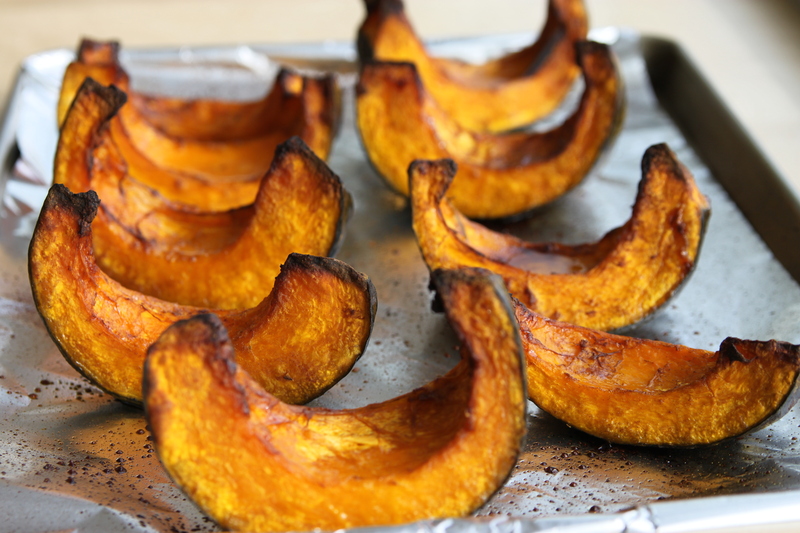 1) Heat oven to 375 F. Wash kabocha squash and dry. Cut in half and remove seeds with spoon. Cut into thick wedges using a large knife and place into a large bowl. Top with olive oil, apple cider vinegar, cinnamon and a dash of sea salt and toss. Then place skin side down on an aluminum foil lined baking ban. Bake for 1 hour and 10 minutes. Remove, do not touch, and let completely cool. 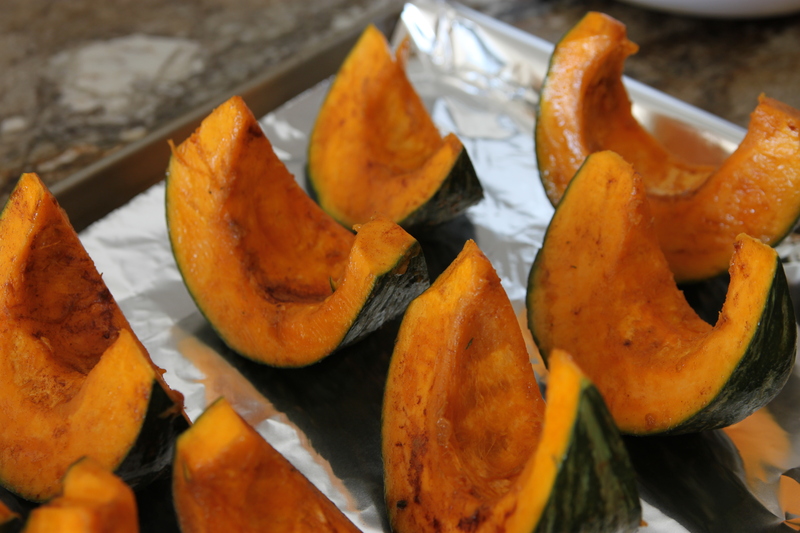 2) Tear squash wedges into small pieces and place in a large bowl. Smash with a fork. Add nutmeg, ginger, cardamom, vanilla extract, and milk. Smash and stir until a thick puree. Place to the side. 3) In a medium sized bowl combine flour, baking soda and baking powder. Add rolled oats. Sift with a fork. 4) Drop two eggs into a medium size bowl and whisk for two minutes till slightly frothy. Continuing whisking and slowly add sugar. Mix till sugar is incorporated. Add egg mixture to squash puree. Add dried gooseberries to puree. 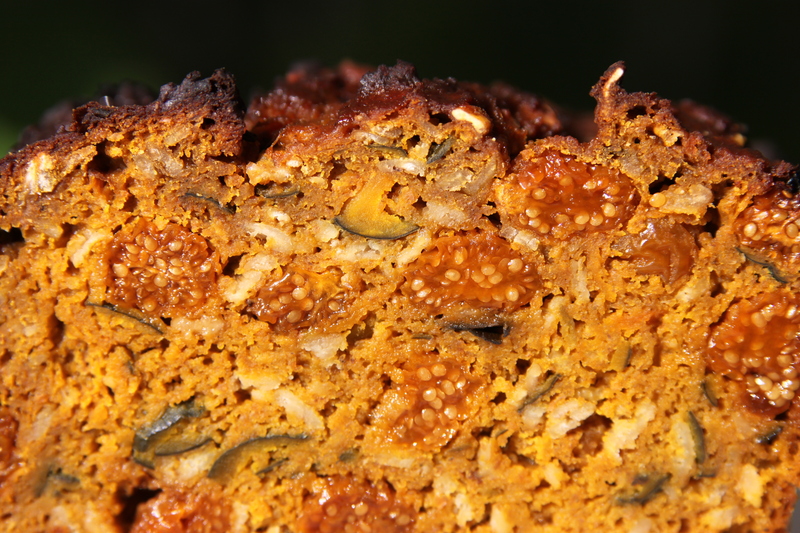 5) Slowly add flour and oats mixture to squash and eggs while stirring. Stir for approximately one or two minutes with a spoon till completely mixed. Make sure you don’t have any pockets of flour. 6) Rub tablespoon of butter on loaf pan, coating the entire area. Then add 1 Tbsp. of flour to coat pan. Tap to remove excess flour after pan is completely coated. Pour batter into loaf pan. 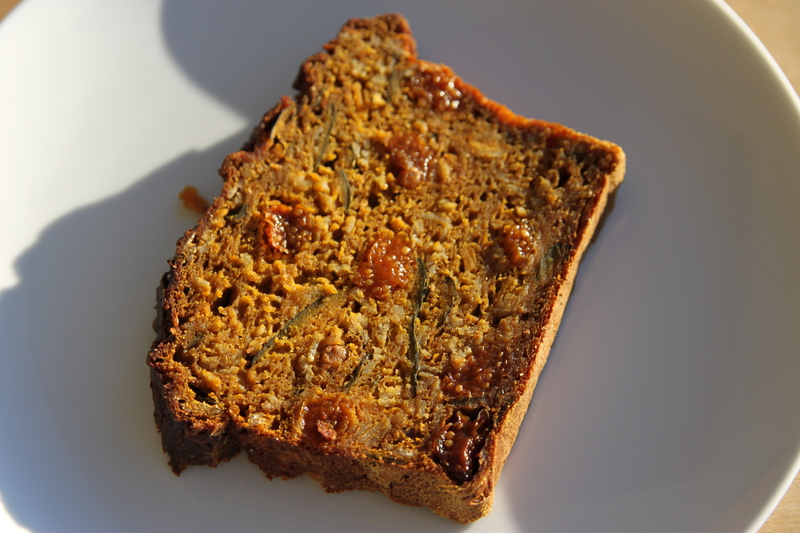 Let rest for two minutes, then pound the loaf pan a couple of times on a counter to make sure the batter settles. 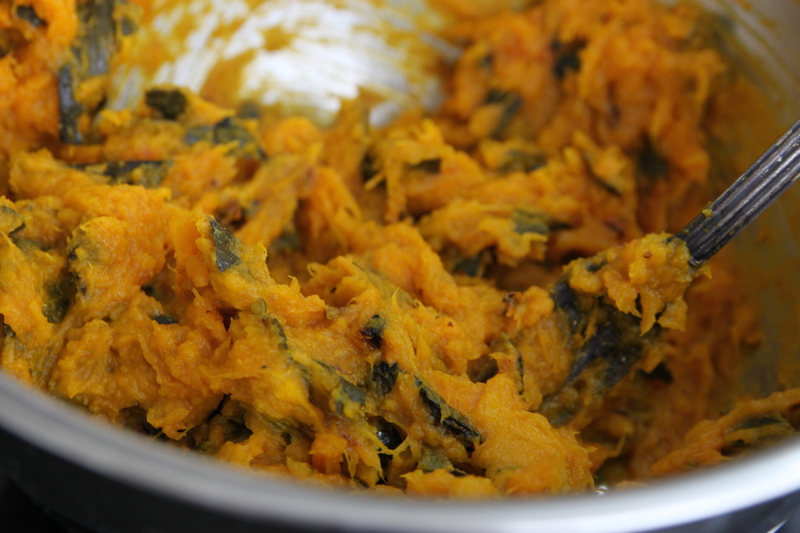 It is thick with the squash so make sure it is completely spread out before placing in oven. 7) Bake at 350 F for 1 hour and 15 minutes. Remove from oven and place on a wire rack. Remove loaf from baking pan after 10 minutes and let continue to cool on the rack. Store wrapped in foil on your countertop. 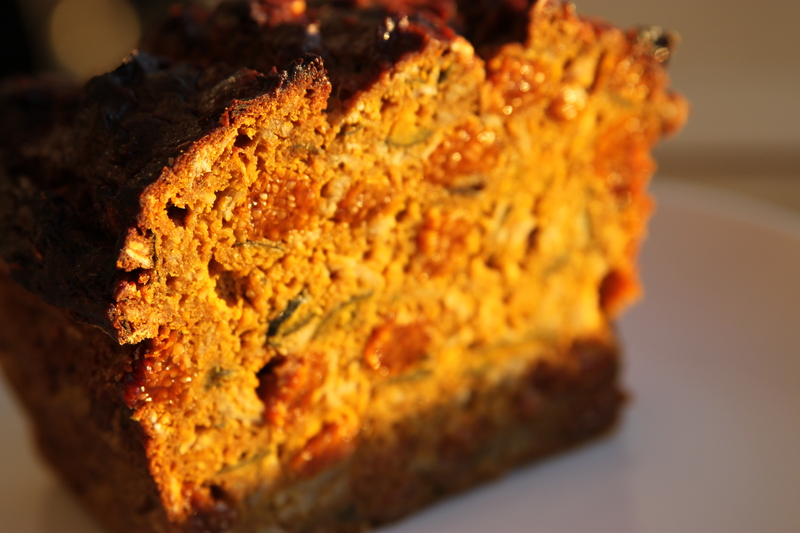 Best consumed within 4 days, no need to refrigerate as it will dry it out.